Annual General Meeting - Very Popular! A big thanks to all for agreeing to serve, keeping this proud club alive! THE NORTH U. 2016 SEMINAR SEASON HAS ARRIVED! Speed wins races. If you race sailboats then the North U Boatspeed and Racing Trim Seminar is for you. You can attend a North U Trim Seminar in any one of over 20 cities or as a webinar, available live on-line on select dates, and on-demand anytime. * Full day seminar with an experienced North U instructor. * Take home the North U Trim Disc and Trim Simulator for further practice and review. It's the same Disc and Simulator we use to teach the course. * North U Trim book available at a 20% discount! * Risk Free Pre-Registration. Full refund if you cancel. Bicycles, bobsleds, sailboats. No matter what you race, you've got to be fast to win. 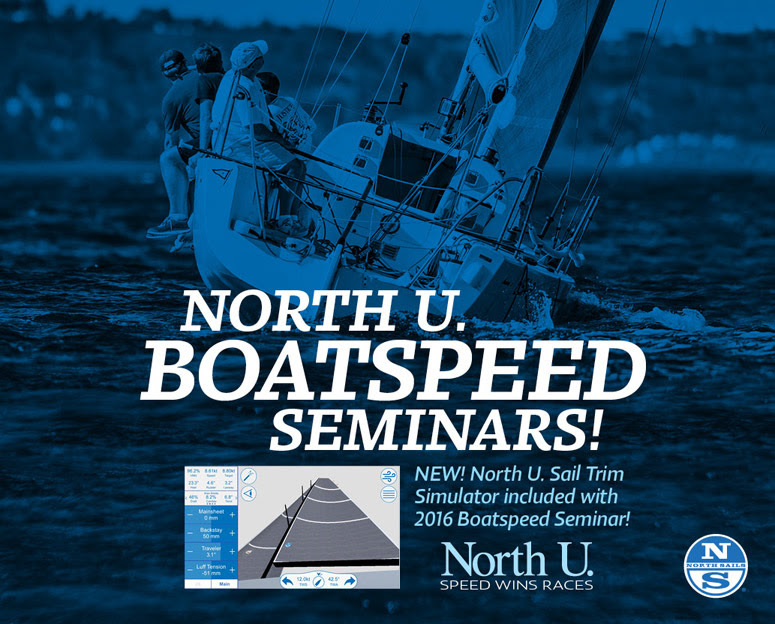 If it's sailboats you race, then the North U Trim Seminar is for you. North U Trim Seminars teach the latest in racing skills with an emphasis on practical, proven, real world techniques that will help you win. In addition, the course covers the latest in spinnaker trim and control for both symmetric and asymmetric spinnakers. The new North U Trim Simulator models upwind trim and performance as never before. Years in development, the Simulator uses the power of the North Sails Design Suite to model trim and performance with unprecedented accuracy - in both the depiction of sail shape and performance data. Adjust every control. View from every angle. Test in a full selection of wind speeds and sea states. See the results. Learn. Use it at the seminar. Take it home and practice. Learn More. Lighthouses are perhaps the most iconic structure in Atlantic Canada and are featured on countless road signs, logos, and postcards. These amazing structures have illuminated Nova Scotia shorelines for hundreds of years guiding generations of sailors and fisherman safely home. They stand as a modern day reminder of our rich maritime history and for many coastal communities they now also provide opportunities for the future. Nova Scotia boasts more lighthouses than any other province – 160 in total – but scores of them may soon disappear forever. The Federal Government has declared dozens of these lights "surplus" and given a deadline of 2015 to find a new caretaker or they will be destroyed. This isn't the first time that lighthouses have been under threat. In the 1980's, the light at Peggy's Cove - Nova Scotia's most photographed lighthouse - was scheduled to be demolished. The massive public outcry from across the country forced the Federal Government to back down but now the oldest lighthouse in all of the America's in Sambro faces the same threat. Lighthouses is a half hour documentary that sheds light on the history of lighthouses and the important role that they continue to play today as a living link to Canada's seafaring past.